ERP News – worldwide – erpnews.com – The reality is that most enterprise applications are well on their way to being cloud based. We’ve seen it with simple workloads such as HR and payroll, travel and expense management, and in the last decade we’ve seen the cloud as the new normal for customer relationship management (CRM) deployments. Upgrading your enterprise resource planning (ERP) system to the cloud means retiring your old approach to business management applications and no longer having to procure, install, maintain, and manage the infrastructure. And perhaps most compelling is to leverage the cloud to redefine your business processes and take advantage of a new era of service delivery and flexibility to enable your organisation to grow. 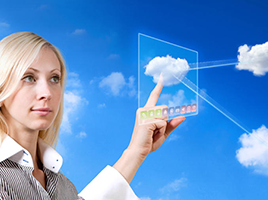 So what are the benefits of cloud based ERP solutions? 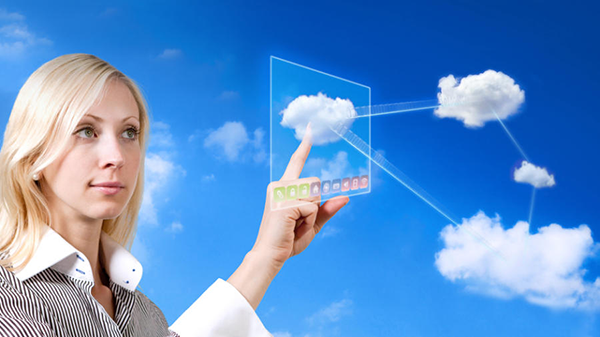 Below are nine reasons why moving your ERP system to the cloud will benefit your business and support business growth. Put quite simply, not all cloud ERP systems are created equal. Specifically, very few ERP vendors respect your right to choose the deployment model that is most appropriate for you, and revise that decision down the road as your business grows or technical needs change. Your right to transition between on-premises, multi-tenant, and single tenant is an important one. It recognises that the “best” deployment model for you today might not be the best model in a few years, or even a few months. By providing the choice of Multi-Tenant (with its compelling economics and seamless upgrades) or Single Tenant (allowing more administrative control and administrative ownership), you can choose the model that works best for you. Not being as capital intensive as an on-premises deployment because of the subscription-based pricing model. Better and more instant scalability, allowing clients to add (and sometimes remove) users to their system on demand and saving them from having to invest in hardware and software at the “high water mark”. The direct and indirect costs of your infrastructure, from server to database systems to the actual hardware and replacement cycle cost. The hidden costs of maintaining the servers yourself. The benefit of the reduced deployment times (and corresponding improved ROI) that are typical for cloud deployments, as the necessary infrastructure is in place already. Moving to the cloud means that your IT department will be able to deliver higher-value activities that are better aligned with your mission, and they will be able to spend less time “patching the servers and keeping the lights blinking.” At the end of the day, most IT departments are stretched pretty thin, and find themselves spending too much time on low-value (but admittedly critical) activities such as verifying backups, applying security updates, and upgrading the infrastructure upon which your critical systems run. There is tremendous business benefit to assigning those tasks back to your ERP vendor as part of a cloud deployment, freeing up your IT department’s time to work on more strategic business projects such as creating executive dashboards, deploying mobile devices, and crafting helpful management reports. Where security once implied a locking the server room door and forcing people to use long passwords, today it means hardened electronic operating environments. You can’t claim to be secure unless you have systems and people protecting your infrastructure 24 hours a day, 365 days a year, and verifying that security updates from all vendors are thoughtfully tested, then applied. Security today is a comprehensive, end-to-end mind set that has to be built across every layer of the ERP environment, from the physical network interface cards to the user passwords. It means a holistic approach to anticipating and minimising possible natural, human, and technical disruptions to your system to ensure uptime and peace of mind. Cloud deployment redefines the experience by designing upgrades – big and small – to be deployed by the ERP cloud operations staff as part of standard support services, without imposing software installations on your staff. Minor updates are transparently deployed in a non-disruptive fashion, and major upgrades are announced well in advance, and include a sandbox training environment and end-user training. Always being on the most current version of the software provides peace of mind that you’re no longer having to make the “upgrade or not?” decision, and provides you with the newest and most powerful version of your ERP solution at all times. The modern ERP deployment landscape is full of mobile professionals, including sales and service staff operating outside the four walls of your office, who expect access to the ERP system from their handheld devices. You may also have mobile onsite staff such as shop floor operators and logistics staff that need to access your ERP from tablets and similar devices. Moving to a cloud-based system gives everyone the real-time system access they require as a routine part of their jobs while driving out the inefficiency of paper-based processes and the burden and security risk of figuring out how to deliver this yourself. 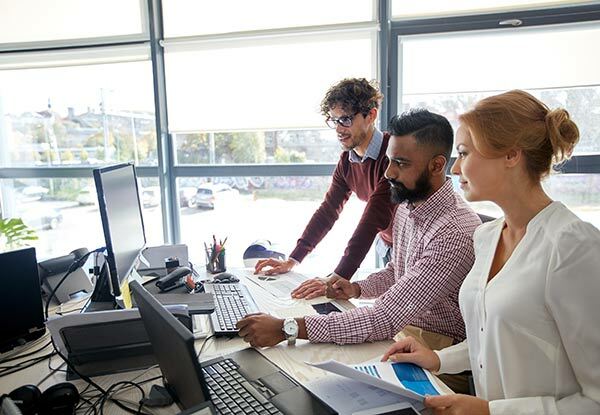 Increasingly, companies have staff working across multiple locations and they aspire to provide the efficiency of a single unified ERP system across the enterprise to support them. For many organisations, moving to the cloud provides the immediate opportunity to shed multiple operating ERP systems across the company, achieve instant visibility across every location, and standardise a single set of operational and administrative processes. 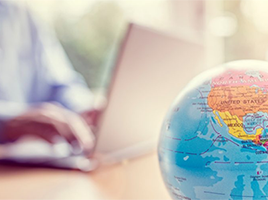 Deploying a single cloud ERP globally (where the only infrastructure requirement is Internet access) removes many operational obstacles, and gives you the confidence that your continued expansion efforts can be accommodated without a significant IT effort by simply enabling that new location in your existing cloud-based ERP system. With consistency comes improved transparency and increased efficiency. We’re all very well aware of the resources that go into on-premises deployment. Multiple new computers and servers may have to be purchased and manufactured, with their well-documented environmental impact. Those computers need to be transported from their place of production to a wholesaler, who needs to warehouse them until they are later transported to you, likely crossing tens of thousands of miles in the process. Electricity is generated to power them, and ultimately those physical machines are scrapped. The impact of that waste can’t be ignored if your company is looking to make decisions that balance your corporate needs and social responsibilities. That’s why cloud deployment is now widely cited as one of the most environmentally responsible IT decisions. Perhaps reducing your carbon footprint isn’t your primary decision making criterion, but it’s certainly a benefit that aligns with the values of many of your employees, customers, and communities. 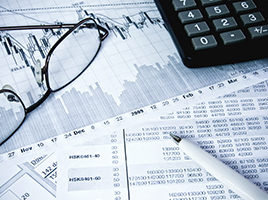 ERP solutions aren’t just software. They are tools that can be used to help grow your business profitably, offering flexible solutions that provide more accurate information in real-time, driving smarter, faster decision-making, and enabling customers to quickly meet changing market demands to stay ahead of their competition. The cloud increases the business benefits that ERP offers and can accompany your business on the road to successful growth.